Commentary on: "Reconstruction of full-thickness ear defects using conchal cartilage and pedicled temporoparietal fascia" by Hatoko et al. 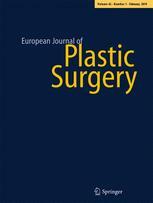 Correction of a mild breast contracture with a new technique: "V-Y-Z-PLASTY"
Botox: an 'elixir of youth'? Commentary on "Botox: an 'elixir of youth'?"